Now that Thanksgiving is a distant memory, it’s time to turn our focus away from turkey and towards trick or treating. No other occasion is governed by as creepy an atmosphere as Halloween (although my Aunt Gladys’ birthday comes close), and I for one relish getting into the spooky swing of things. But how people psych themselves up for All Hallows’ Eve is a matter of personal preference. I think we all have a neighbour who goes overboard with the lawn ornaments, or know someone who likes to dress up like a monster and lay still on the porch waiting to jump to life and frighten unwitting children. But, for those of us who aren’t quite as theatrical, getting amped up for Halloween can be as easy as watching a scary movie, or, more to the point, reading a frightening book. Vuckovic’s Horror Miscellany from Ilex fits the bill perfectly. This is a Halloween book that is perfect for everyone because it has everything! Really, everything. Want an eerie story? They’re in here. Want lists of spooky movies to watch? They’re in here too. Or maybe you’re looking for a brief bio of Alice Cooper. You guessed it; it’s in here. Written by author, writer and all-around horror aficionado, Jovanka Vuckovic, the subject matter has been expertly curated. Beginning with a list of the universal movie monsters and how they met their demise, this book really starts with a bang (Literally… lots of the monsters were shot). And things keep moving smoothly from there. 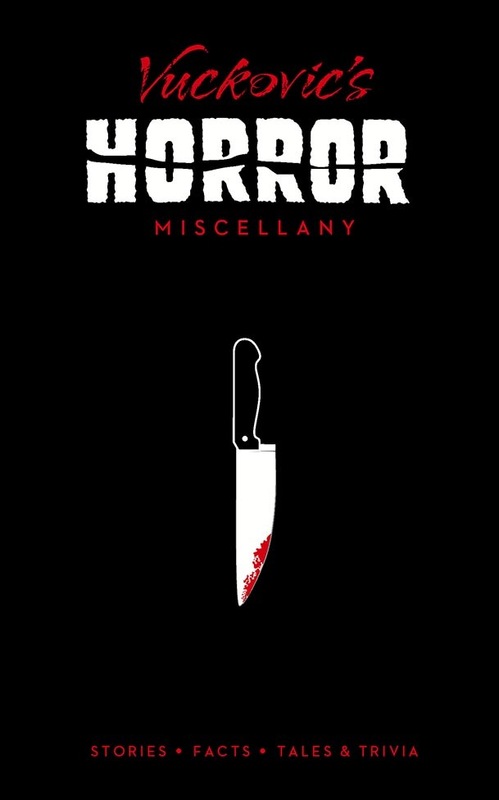 Jumping seamlessly from bits of trivia, to synopses of horrific works of literature, to profiles on famous horror icons, Vuckovic’s Horror Miscellany will put you in the mood for Halloween and will keep you there until the fateful night arrives. Jovanka Vuckovic is a writer, director, artist and film critic. An expert in genre film and literature, Vuckovic is also the author of ZOMBIES! An Illustrated History of the Undead. Kirkman's Walking Dead to be AMC TV Series: Halloween Premiere!